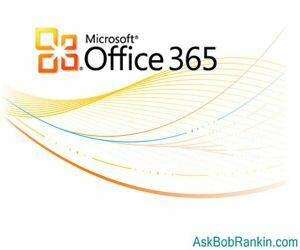 Microsoft Office 365 is the company's next attempt to enter the software-as-a-service (SaaS) market. It consists of cloud-based versions of Microsoft's office, communications and collaboration products: Office Professional Plus, Exchange Online, Sharepoint Online, and Lync Online. Office 365 includes cloud-based end-user versions of all four software packages plus the services of Exchange, Sharepoint, and Lync servers delivered on a pay-as-you-go basis. The appeal of Office 365, and other cloud-based SaaS services, is that users pay much less up front for software and the hardware on which it runs. Instead of investing millions in software licenses and servers before anyone actually uses the software, companies pay a setup fee and monthly usage fees (yet to be determined) based on actual use of the products. Microsoft Office Professional Plus is the same set of office productivity tools sold on DVD for hundreds of dollars per copy. But its license is renewed (or not) every 30 days, allowing enterprises to exactly match the number of paid licenses to the number of employees actually using them. Office Web Apps is included with Office 365, providing browser-based versions of Word, Excel, and Powerpoint that enable viewing and lightweight editing of documents online. The documents are stored in a cloud-based storage system. Office Web Apps is similar to Google Docs, in that there is nothing to download or install, and the documents that users create are stored online -- not on a local hard drive. This has huge advantages for businesses with lots of employees, because it eliminates the need to install and upgrade the software. Microsoft Exchange Online is built on Exchange Server 2010 technology. It provides email and contact list functions, calendaring, and task lists. It also provides voicemail to email capabilities, built-in anti-spam and anti-virus functions, and archiving features. Exchange Online can be accessed using Microsoft Outlook on the desktop; Outlook Web Apps; and Outlook Mobile on certain mobile devices. Microsoft Sharepoint Online enables members of groups to manage, share, and collaborate on documents using a variety of internal Web sites. It also supports public Web sites for presentation of documents to general Internet audiences. Microsoft Lync Online provides presence information (who's online and where are they? ), instant messaging, PC-to-PC audio/video conferencing, and online meetings. The meeting can include audio, video, Web conferencing, application sharing, whiteboarding, and other collaboration tools. Lync also supports click-to-communicate functions inside Office applications. The Enterprise version will be for medium-to-large business with dedicated IT staffs and business partners who want to participate in the Microsoft 365 experience. The Small-Business version will be designed for small businesses which lack dedicated IT staffs. The Education version will be for educational institutions and is designed to replace the Office Live@Edu service. Microsoft 365 will debut in mid-2011, but more information and details of the Beta program are available now at the Microsoft 365 website. Most recent comments on "Microsoft Office 365"
Microsoft can keep their Office 365 24/7. Open Office does everything I need, and Paul Allen gets none of the proceeds. Google Docs rocks for me! Office 365 was opened for closed, or invitation-only, testing last fall. Microsoft says more than 100,000 organizations signed on to put it through its paces. Office 365 is up and running. For SMBs it is actually a great value. Free can be more expensive that paid.